Affiliate agrees to not utilize SPAM in promoting CLUBSHOP. 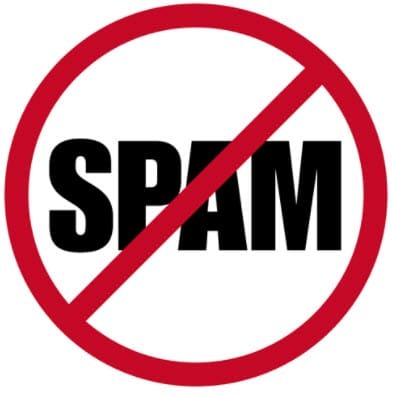 CLUBSHOP maintains a ZERO tolerance policy towards the sending of SPAM, including, but not limited to, unsolicited commercial E-mail (UCE). This action may result in the immediate suspension or termination of Affiliate account with a cancellation of and forfeiture of any pending commissions. Affiliate will also be in violation of the CLUBSHOP Affiliate Agreement and subject to legal action and be held liable for any financial loss incurred by CLUBSHOP. CLUBSHOP further defines SPAM as contacting anyone, in bulk or individually, about CLUBSHOP, who has not specifically requested the information directly from Affiliate. CLUBSHOP prohibits its affiliates from publicly disclosing their own earnings because no one person’s income is typical--but does show what is possible with time, effort, and dedication. What you earn as an CLUBSHOP affiliate is determined by your own individual efforts. CLUBSHOP does not guarantee that any affiliate will earn any amount of income or any income at all from the promotion of our program. We provide our affiliates who are contractors, not employed by CLUBSHOP, a commission earned for referring the sale of retail products. We provide training that has led thousands of affiliates to earn substantial income, but your ability to follow our training, and the amount of time and/or money you invest in your business, will determine your success.